On a Sunday not too long ago, I was all ready to enjoy a lazy day and maybe have some pancakes when I realized something. I realized I was feeling too lazy to make pancakes. And I am so not ashamed to admit it. I was fine with actually making the batter and all but I was not in the mood to stand over my cast iron pan, waiting for it to heat up and making a series of pancakes. I said lazy right? 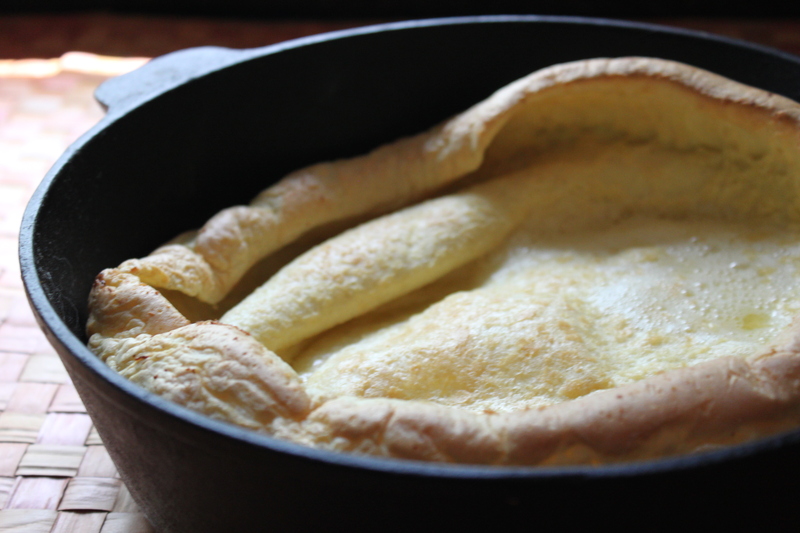 On the page next to the recipe for pancakes was a recipe for a puffed oven pancake. I only had to make batter and then pour just one pancake. My lazy self rejoiced. I’m serious, I was that lazy. Toppings: sliced fresh fruit thawed frozen fruit, powdered sugar, whipped cream and/or whatever your lazy heart desires. Place butter in a 10-inch oven-proof skillet. Place in pre-heated oven for three to five minutes until butter melts. While butter is melting, whisk eggs before adding flour, milk, salt and beat until the mixture is smooth. Immediately pour mixture into the hot skillet and bake for about 25 minutes, until puffy and browned. 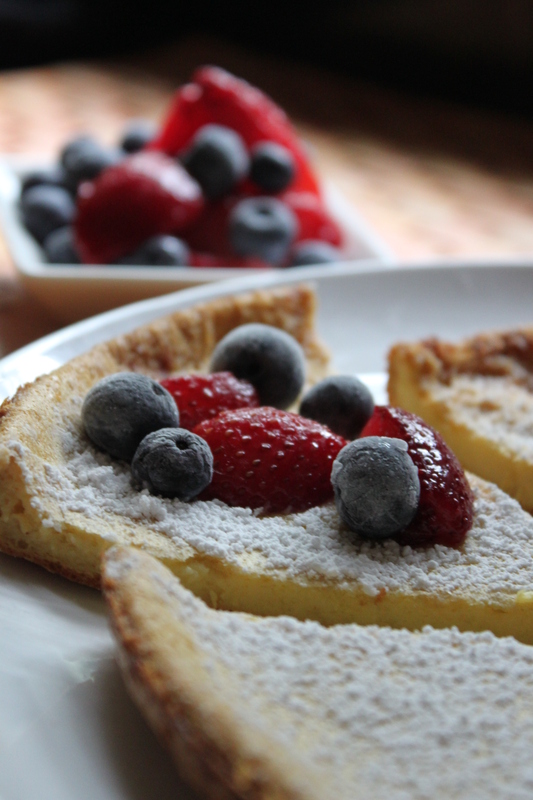 Top with desired fruit, or powdered sugar.